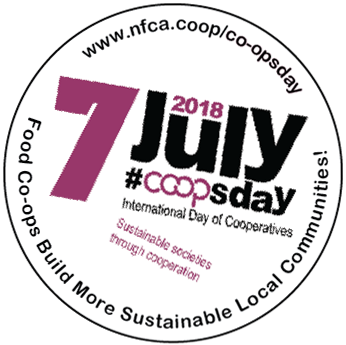 On Saturday, July 7th, we will join co-ops around the world in celebrating International Co-ops Day, joining the United Nations (UN) and the International Co-operative Alliance in a commemoration held annually since 1923. This year, at a time of dramatic change in our climate and local economies, co-ops and credit unions are highlighting how their businesses offer a solution by contributing to more sustainable local communities. The theme of sustainability builds on the UN’s 2030 Agenda for Sustainable Development, which seeks to end poverty, fight inequality and injustice, and tackle climate change over the next fifteen years. 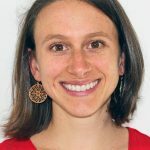 As democratic, community-based businesses, co-ops have a unique role to play in these efforts. Here in our region, food co-ops have been at the forefront of efforts to build more resilient and inclusive local economies. And over the past few years, NFCA member co-ops have been working together to share strategies for sustainability. One way that our Co-op is working to contribute to a more sustainable local community was through our recent expansion project. This project allowed us to make many physical improvements to our building envelope and upgrades to our equipment resulting in significant increases in our energy efficiency. Additionally, our larger store has allowed us to serve more community members (membership recently crossed the 5,000 household mark! ), support more local farmers and producers, and provide more quality jobs for community members. Observed internationally on the first Saturday in July, Co-ops Day often coincides with Independence Day celebrations here in the United States. Based on the principle of one member one vote, co-ops reflect American ideals of democracy, mutual self-help, and equality. We appreciated the large number of community members that turned out for our recent Annual Meeting and the excellent voter turnout in our recent Board election. This is democracy in action! 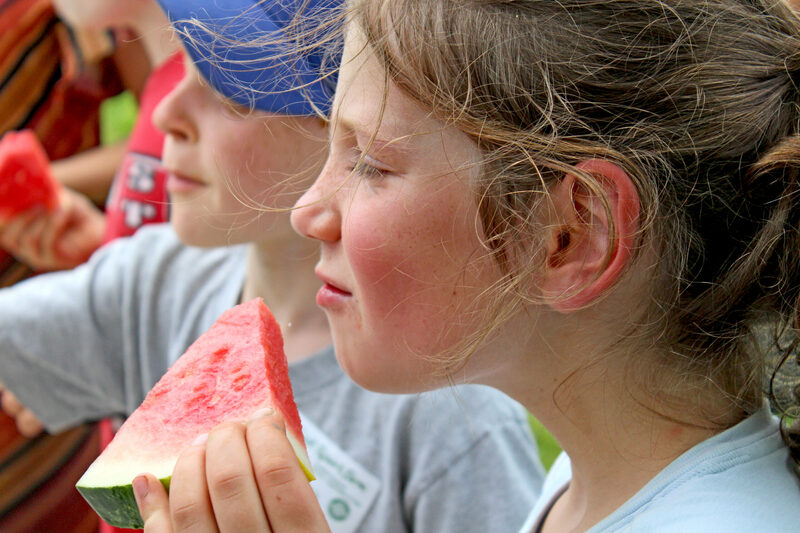 For more information and a map of food co-ops across the Northeast, please visit www.nfca.coop/coopsday. 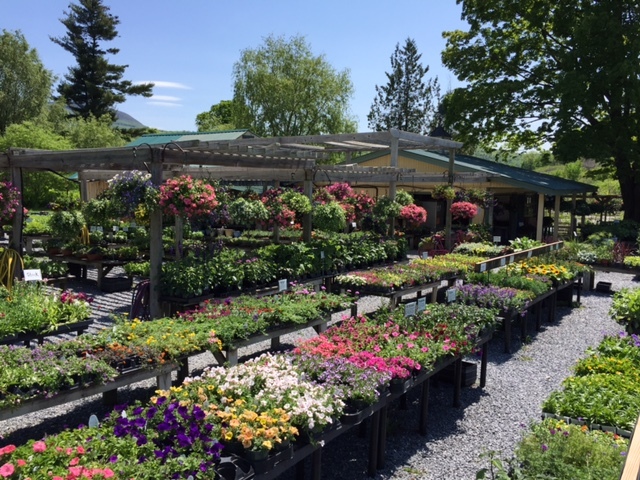 Wood’s Market Garden is a fruit, vegetable & flower farm and seasonal market nestled in the quaint town of Brandon, Vermont. 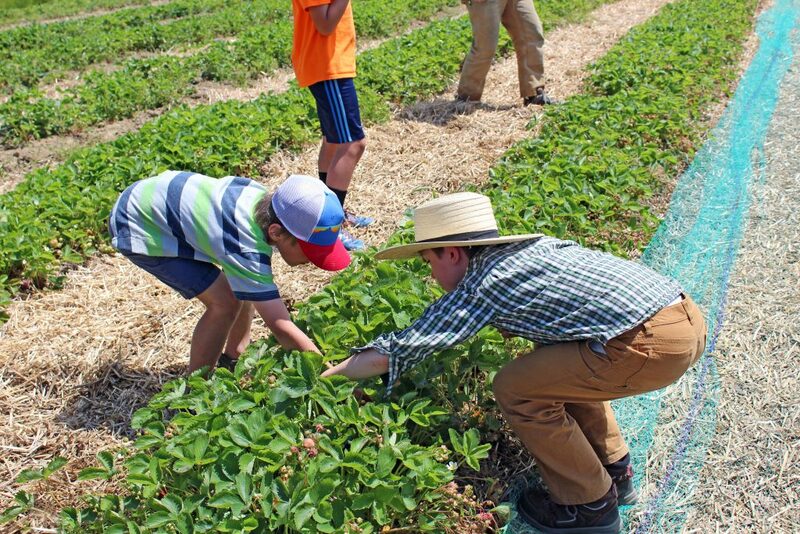 Their fields have been producing fresh food for the greater Brandon community for over 100 years! 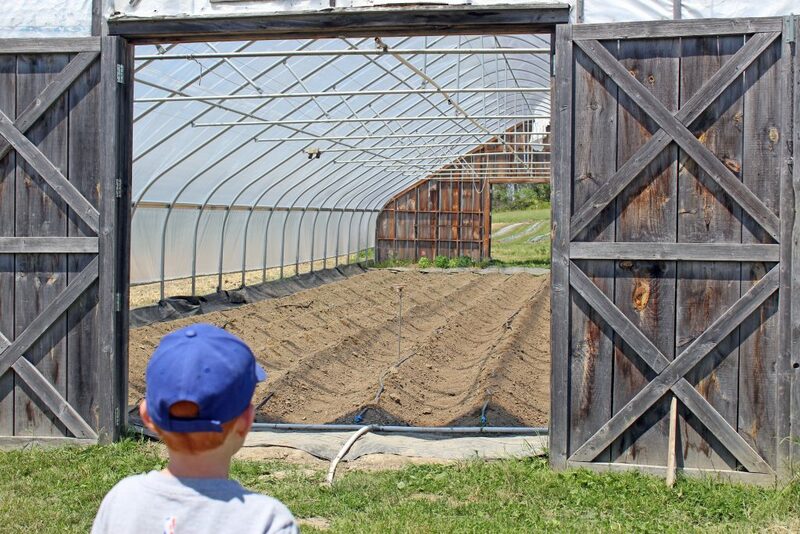 The farm consists of 150 acres of Vermont farmland and woods. 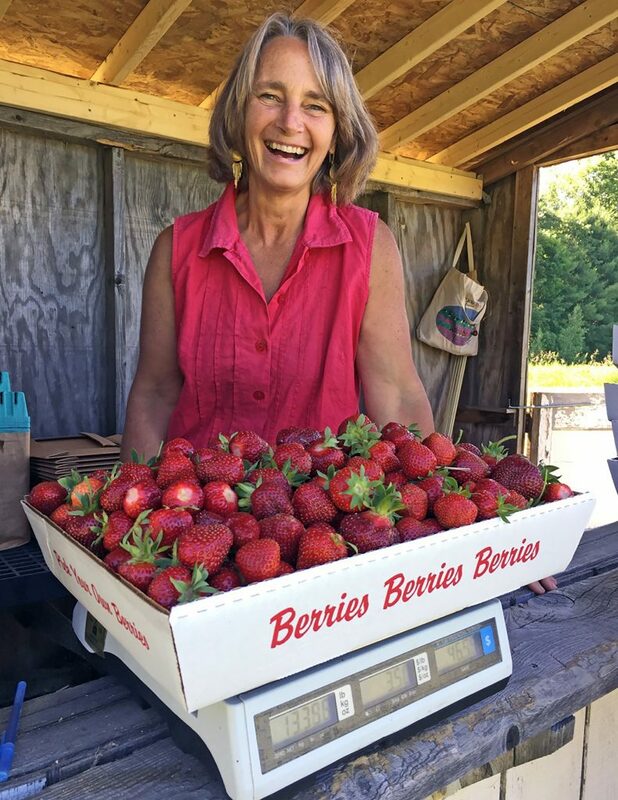 Known far and wide for their delicious sweet corn and plump, sweet strawberries, they also grow over 50 kinds of vegetables and fruits on 60 acres of sandy loam soils. 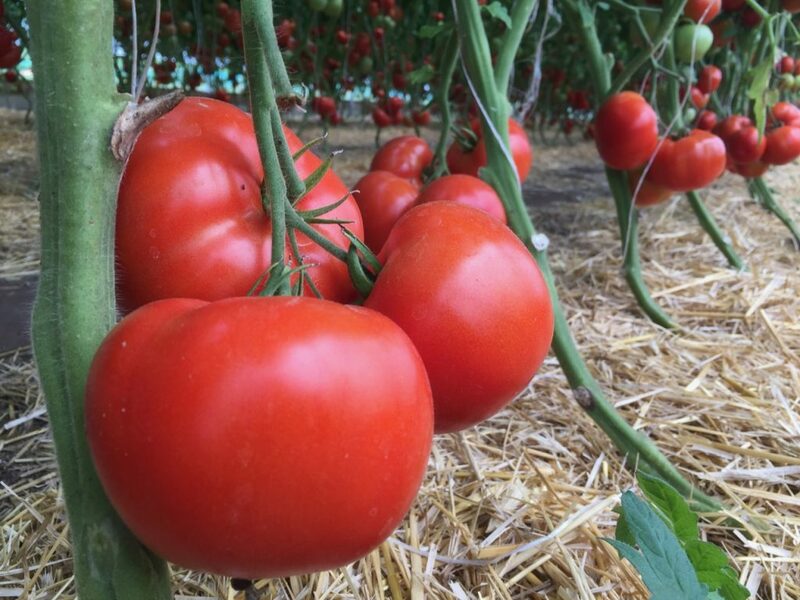 Their produce and vegetable plants are certified organic, and in addition to their field production, they also have 7 greenhouses for raising bedding plants, ornamentals, vegetable starts and the tastiest early tomatoes in the state! 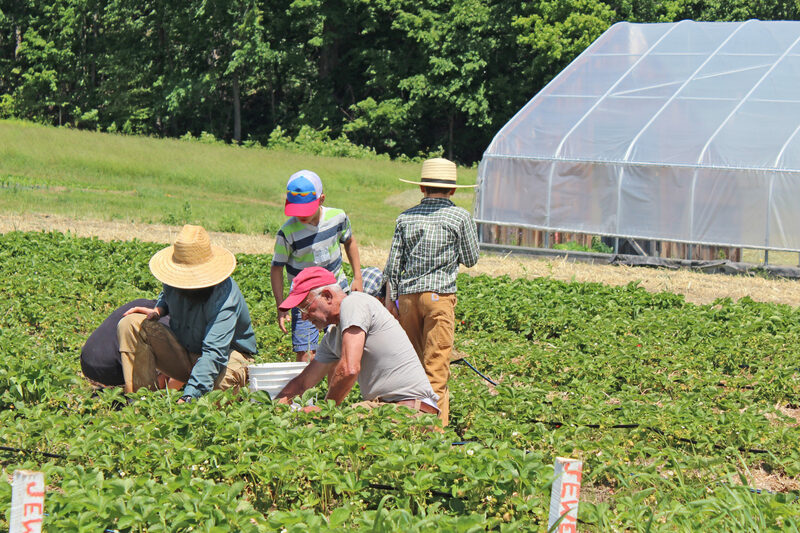 Their unique varieties of plants and passion for quality crops keeps people coming back year after year. Farmer Jon Satz purchased the iconic Wood’s farm from Bob and Sally Wood in 2000. 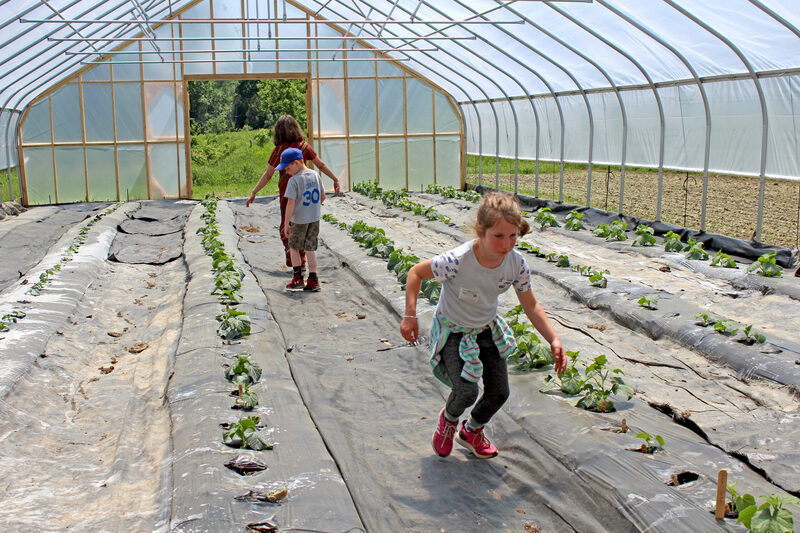 With his passion for growing and sustainable farming practices, the farm and market have blossomed into a destination for beautiful organic vegetables, quality bedding plants and some of the sweetest strawberries around! Jon, his wife Courtney, and their 2 young sons make their home on the farm and enjoy the continued legacy of farming the land that the Wood family started generations ago. 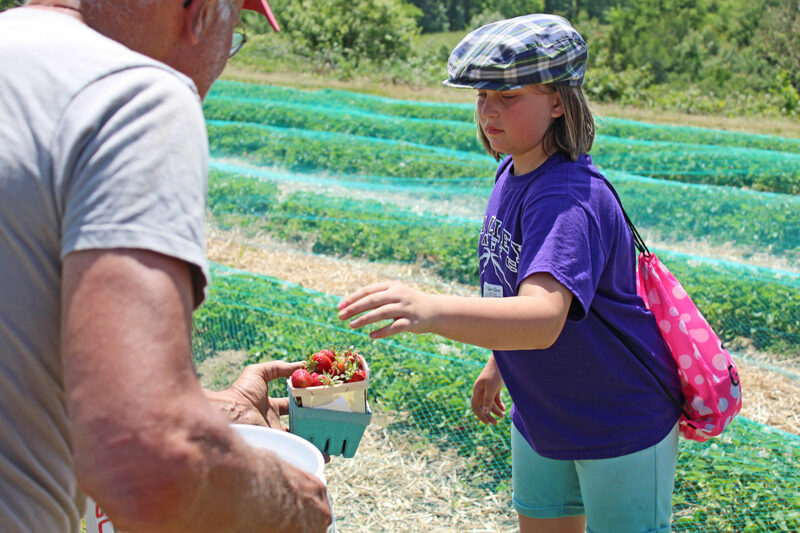 Their farm stand and market is open 7 days a week during the spring and summer season. Outside, it’s a paradise of plants, hanging baskets, creeping vines, and gardens to wander. Perhaps you’ve seen it while driving down Route 7 South through Brandon? You’ll notice Jones Mill Pond, which during the warm summer months is covered with those famous pink water lilies, and Wood’s sprawling acres of lush fields and greenhouses surrounding the pond. Inside the market, the shelves and baskets are filled with gorgeous fresh produce from the farm. 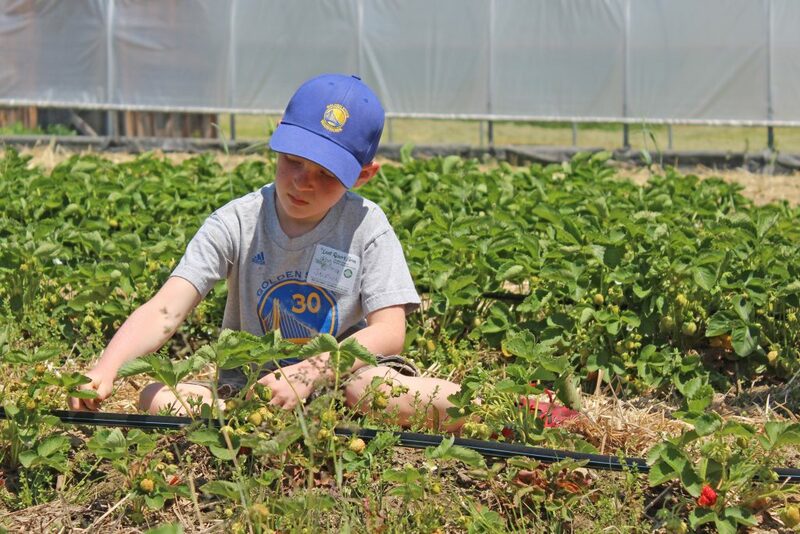 Depending on what’s in season, you’ll find everything from fresh spinach to strawberries to squash. 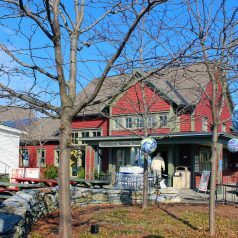 In addition to produce, they have an unbelievable variety of artisanal cheese, organic milk and local dairy products, local meat and poultry, fresh baked goods, maple syrup, honey, jam and more! It’s a foodie paradise at Wood’s Market….a really fun place to shop, and guaranteed to make you smile. Stop in and see them on your next trip through Brandon! 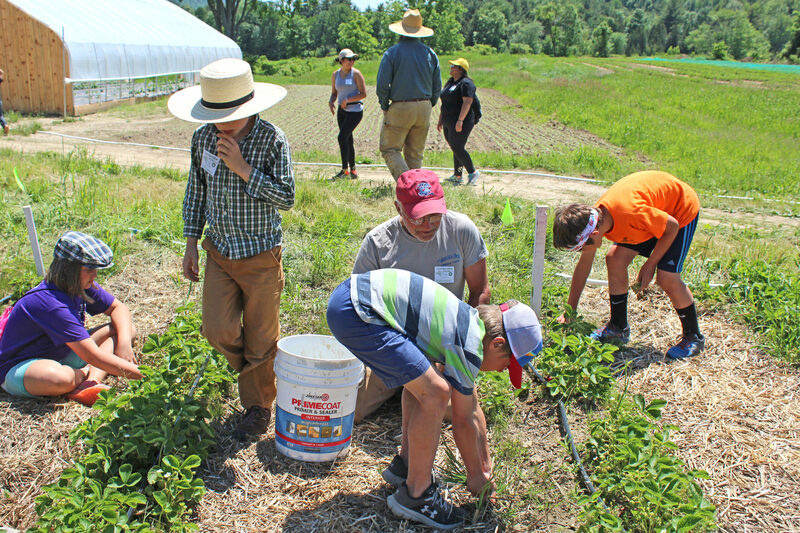 The art of putting pen to paper and sending letters to pen pals may feel a bit antiquated, but we’re happy to report that the practice is alive and well, thanks to a unique project known as the NOFA -VT Farmer Correspondence Program. This refreshingly low-tech program matches classrooms with farmers based on interests and grade levels. 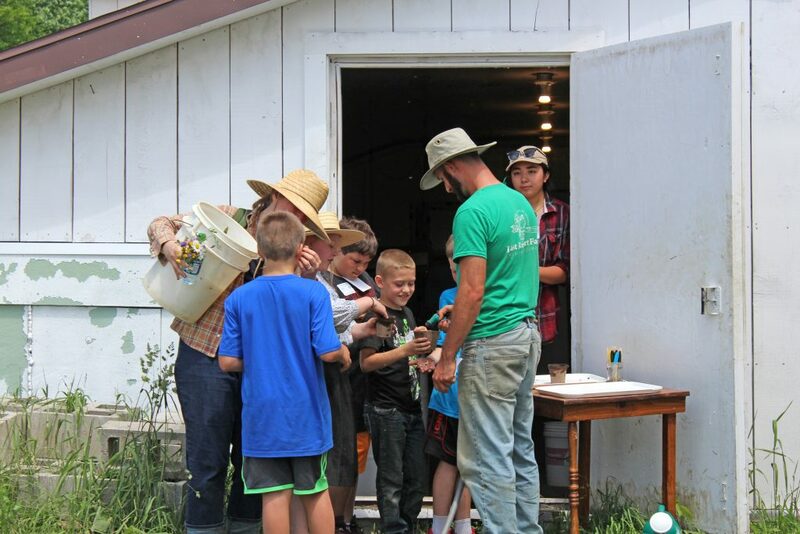 Children write letters to farmers, the farmers reply with stories and photos of life on the farm, farmers visit schools, and students travel to the farms for a memorable, hands-on experience. 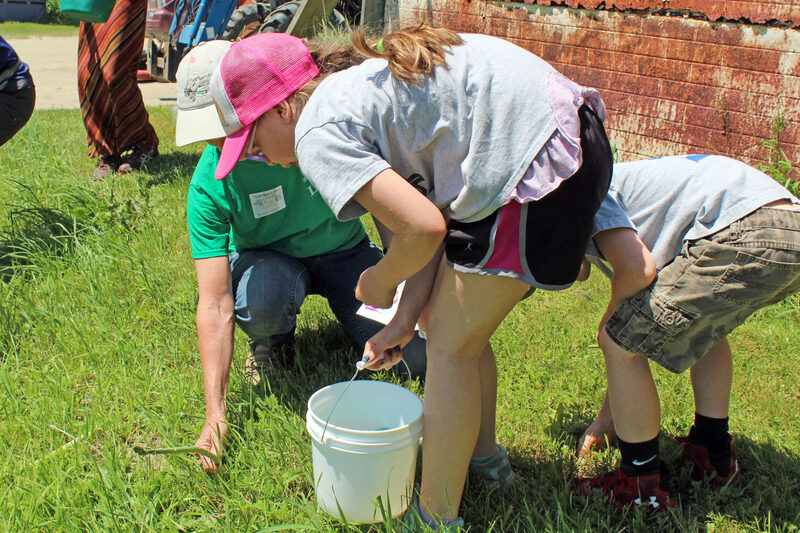 Through this exchange, students are able to learn how farmers work with and adapt to the natural systems that are intertwined in working landscapes. 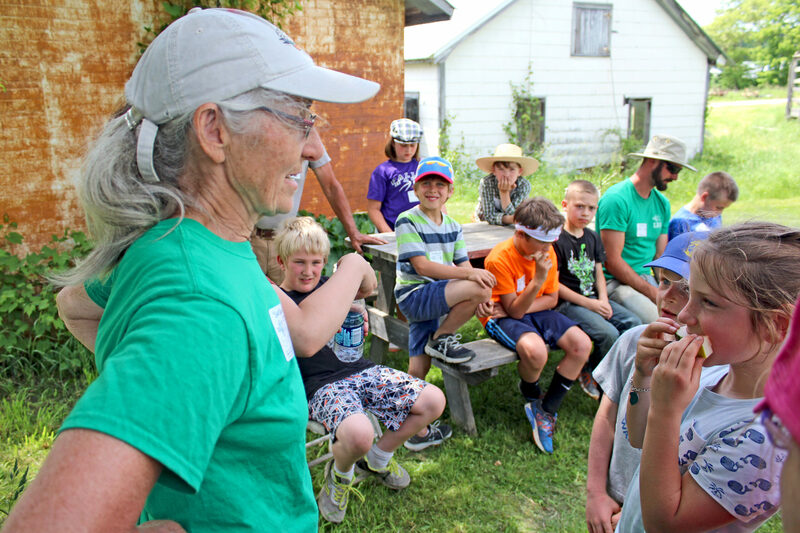 They learn of strategies used by their farmer penpal to solve challenges related to weather, climate, use of natural resources, and human impact, and these concepts are woven into their curriculum in the classroom. 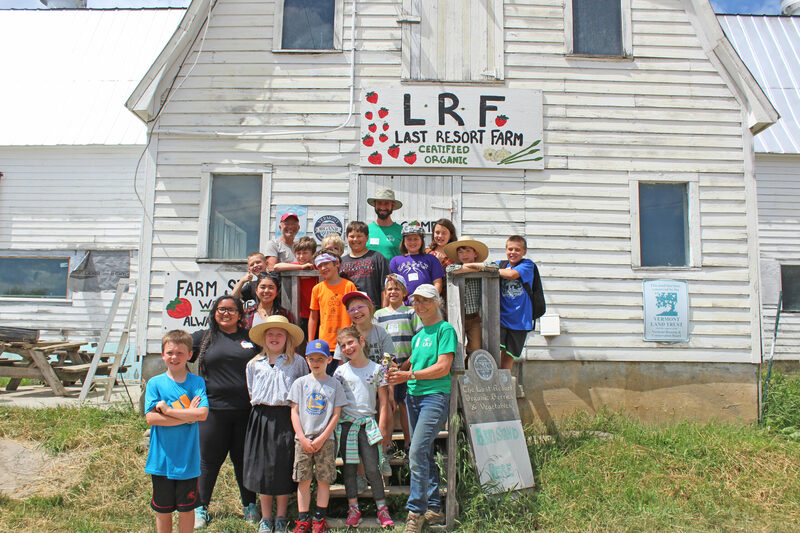 The Co-op is proud to help provide funding for the field trip portion of this program for Addison County participants and we were lucky to be invited to ride along on a recent trip to Last Resort Farm with a group of lively Robinson Elementary 3rd and 4th-grade students from Mrs. Beecher’s class. 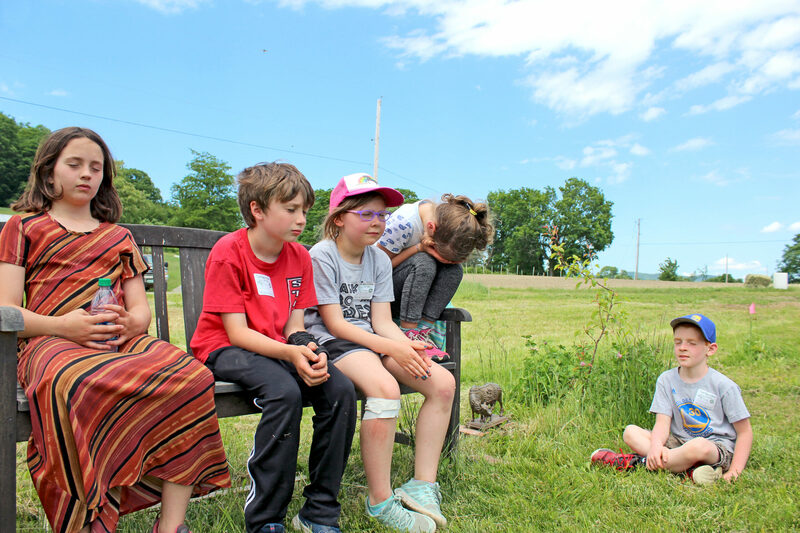 Beecher’s classes have been writing to and visiting farmer Eugenie Doyle at Last Resort Farm for seven years. 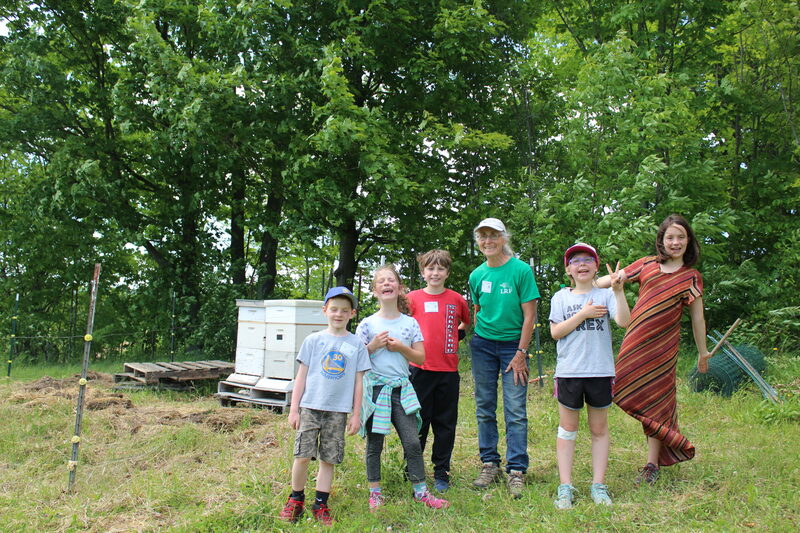 On this particular visit, the students divided into small groups to tour the farm with Eugenie and other members of her family including her partner, Sam Burr, and their son, Silas. Students had the opportunity to experience every step of the farming process from planting, to weeding, to harvesting and, of course, eating, as they made their way around the farm. 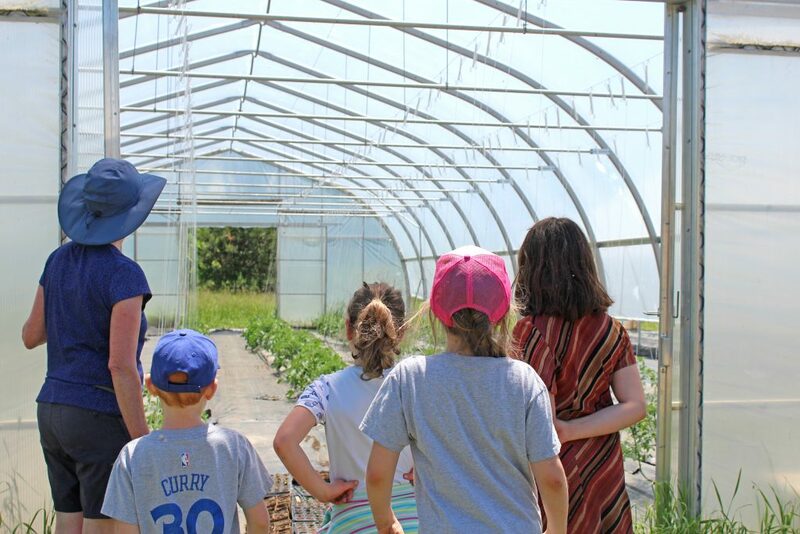 While it’s certainly common for most Vermont schoolchildren take seasonal field trips to local sugarhouses, apple orchards or pumpkin patches, the experience created by the Farmer Correspondence Program goes deeper, fostering meaningful, long-term relationships between kids and farmers. 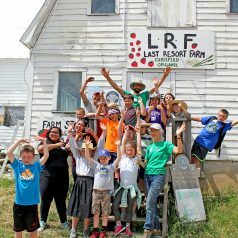 It’s one thing to read about the challenges and wonders of farm life, but to experience first-hand the heat of the greenhouse, the magic of planting a seed, the labor of pulling a weed, and the joy of consuming freshly-harvested fruits and vegetables is truly an invaluable experience with lasting impact. 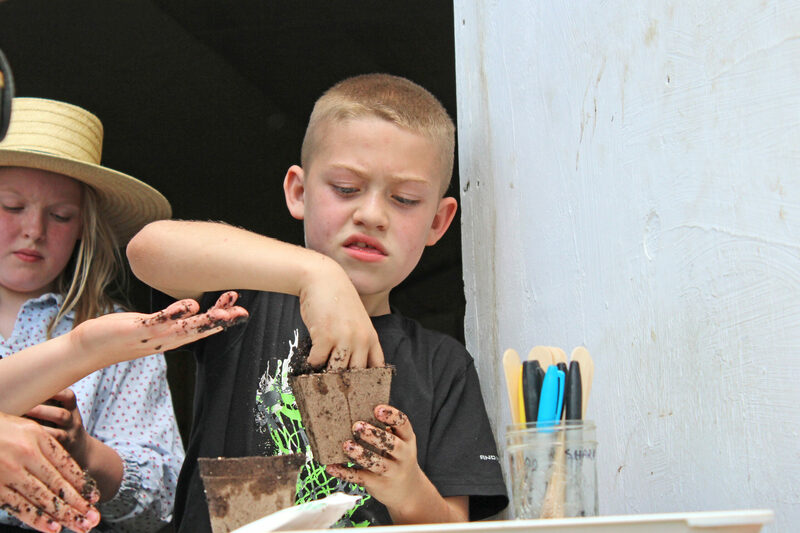 If you’d like to learn more about this program and get involved, visit the NOFA-VT web page. 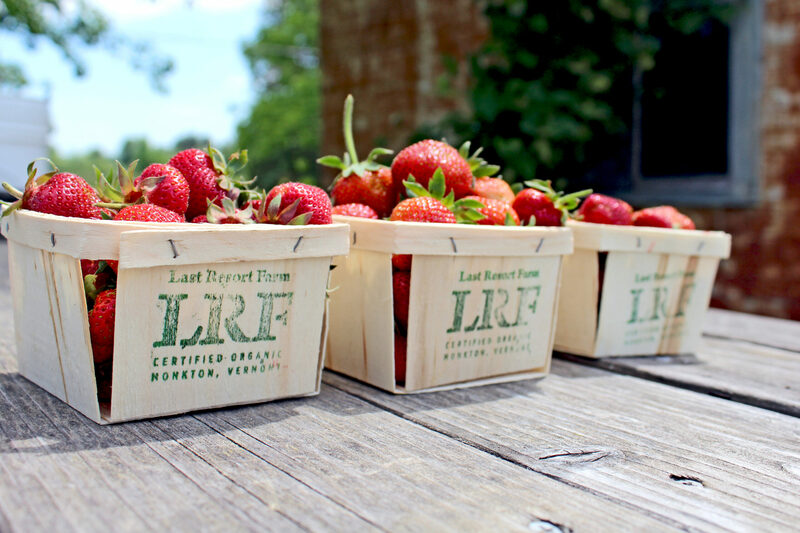 And if you find yourself passing through Monkton this summer, be sure to visit the farm stand at Last Resort Farm. 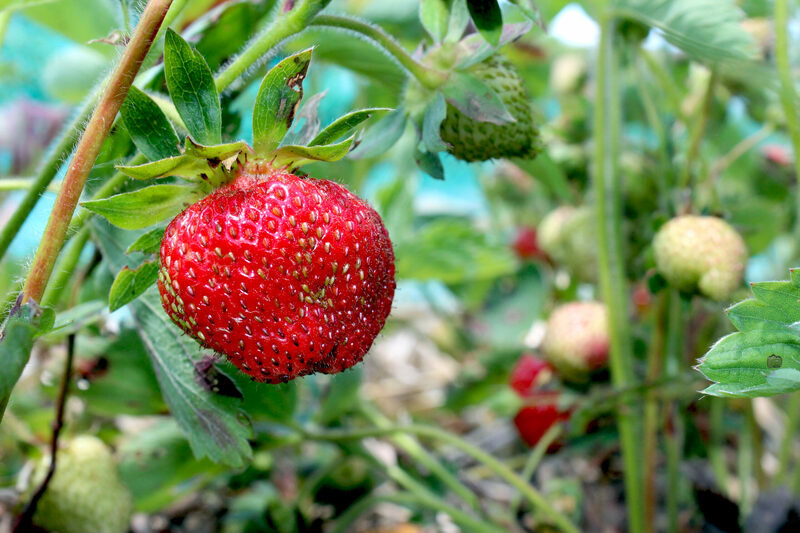 Their succulent strawberries are the perfect summer treat! While the flatbreads and endless bowls of salad at American Flatbread are a delicious perk of attending the Co-op’s annual meeting, this event is so much more than a free meal! 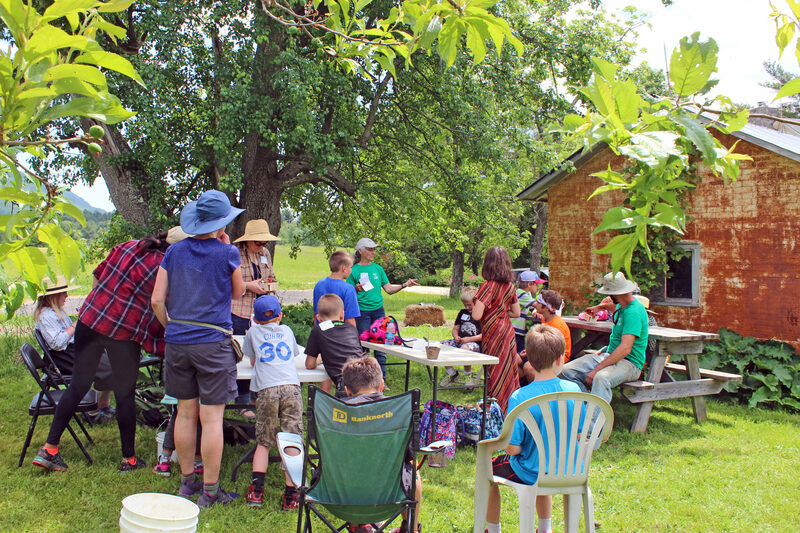 The Annual Meeting makes our Ends Statements–1) Healthy Foods 2) Vibrant Local Economy 3) Environmentally Sustainable and Energy Efficient Practices 4) Co-operative Democratic Ownership 5) Learning About These Values–come alive for an evening of celebration and community. Our Annual Meeting is an essential component of practicing co-operative democratic ownership and a unique time to learn about the Co-op, two of our Ends Statements. Each year, our General Manager, Glenn, makes an honest presentation about the successes and challenges of the year, and the Board Treasurer presents a financial summary. The highlight of these presentations was learning that we are able to offer a patronage dividend to Member-Owners this year! We anticipated that it would be up to two years post-expansion before there would be patronage dividends, so this was an exciting surprise. Another highlight of the evening was a brief survey we developed as a board to ask all member-owners what initiatives they’d like to see us pursue now that the expansion is behind us. Thanks to everyone who took the time to tell us what you think. We’ll report more on those results soon! The Annual Meeting is a great time to learn more about the Co-op and make sure your voice is heard. We welcome questions and comments, anytime, but especially at this annual event. This year more than 200 people attended on a particularly sunny and beautiful evening. Hosting this important gathering at American Flatbread is significant and representative of the ends: 1) Healthy Foods 2) Vibrant Local Economy and 3) Environmentally Sustainable and Energy Efficient Practices. American Flatbread’s flatbreads and salads are nourishing foods, made from the highest quality ingredients, most of which are local, organic, or both. American Flatbread is a perfect example of how all foods–when prepared mindfully and intentionally–can be part of a healthy diet. 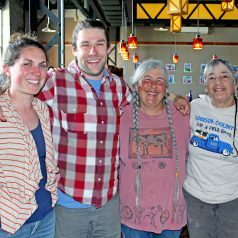 Finally, it’s a joy for the Co-op to be able to support our Vibrant Local Economy by allocating our Annual Meeting funds to a local restaurant. What would our world be like if all businesses put as much thoughtful energy into creating an annual meeting for their customers? What would our world be like if all businesses were as transparent and open to feedback? If you have never been to an Annual Meeting, make sure to put it on your calendar for next year. We are truly lucky to have the Co-op in our community, and the Annual Meeting is a yearly celebration of this fact. Of course, we can’t deny that the pizza is delicious, as well! Established as an operating dairy farm in the 1920’s, Rob and Linda Dimmick are continuing the tradition of family farming. 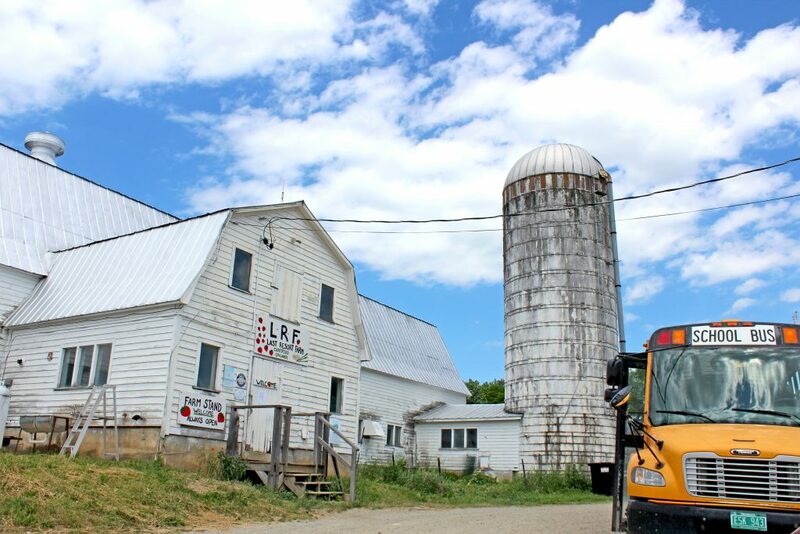 Nestled in the rolling hills of Randolph Center, Vermont, Neighborly Farms decorates the countryside with its red barn and white post and beam farmhouse built in the 1800s. 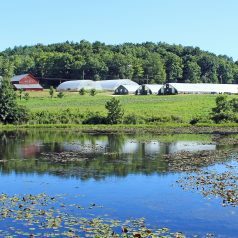 They operate on 168 acres with cropland and grazing fields to support the dairy and a sugarhouse for producing pure Vermont maple syrup. 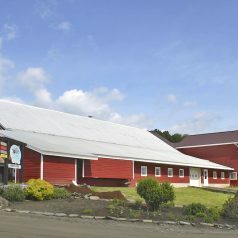 The clean and tidy barn is home to 70 Holsteins—the black and white cows that symbolize rural living at its very best. Rob and Linda are continuing the family farming tradition because they have a passion for the land and animals. They are a totally organic farm. 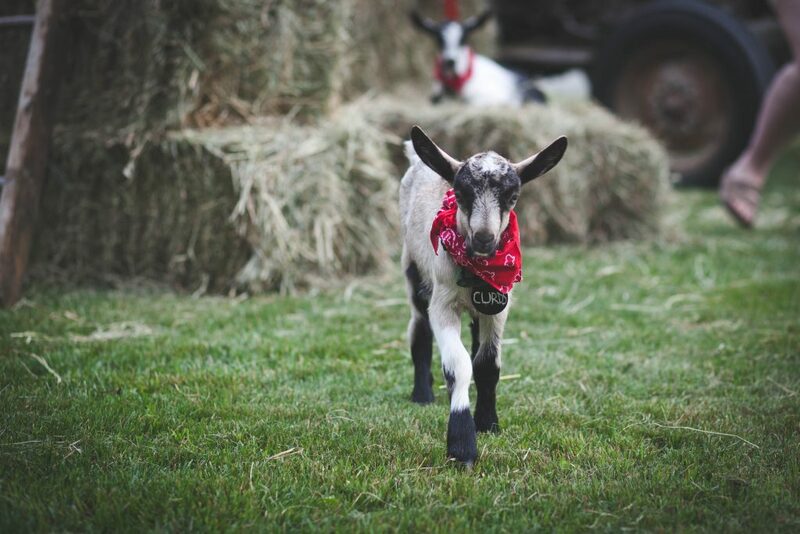 This means the farm is run in complete harmony with the land and the animals; no antibiotics, no hormones, and no commercial fertilizers. Just pure and natural techniques that keep the cows healthy, happy, and the dairy products wholesome and chemical-free. 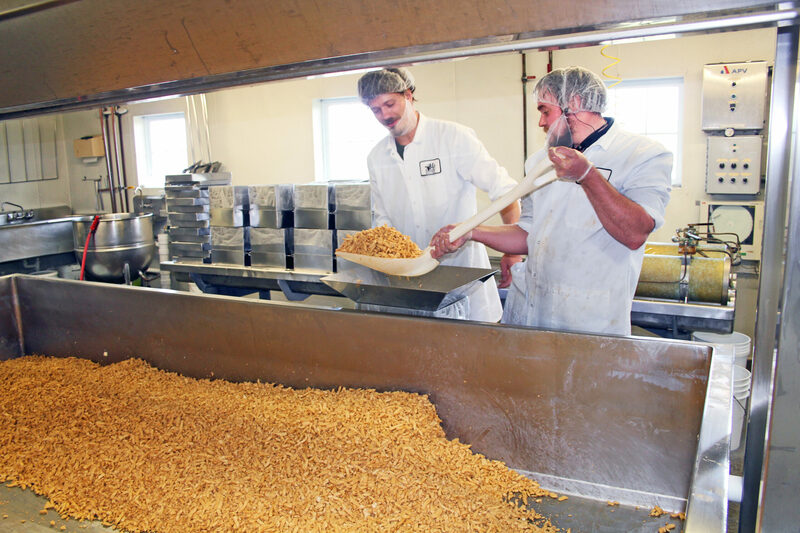 It means that the cheese produced at Neighborly Farms are pure and natural. And the best part? The organic cheeses taste great too. Neighborly Farms of Vermont is not just another dairy farm. 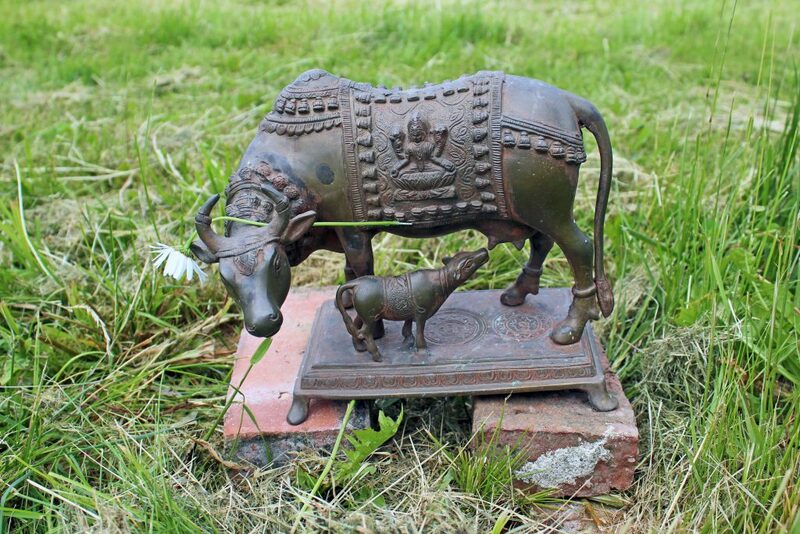 At their family farm, there is a deep love for the land and animals. That’s why they choose to be an organic farm. It’s a way of showing that they care about their surroundings and neighbors. 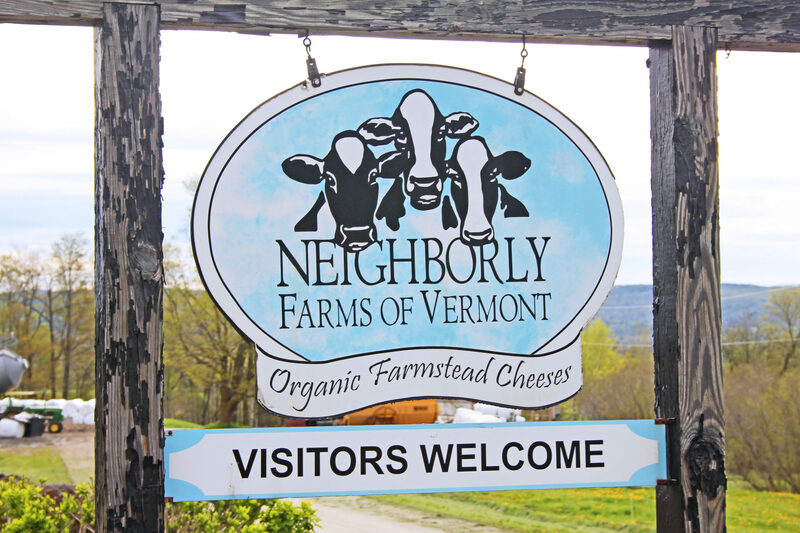 Neighborly Farms produces eleven kinds of delicious organic cheeses; all made with wholesome milk from their well-cared-for Holstein cows. They make cheese the old-fashioned way and believe that caring for the land and surroundings helps them produce the finest cheeses possible. At the Co-op, you’ll find a rotating variety of their cheeses including Jalapeno Jack, Monterey Jack, Colby, Feta, Green Onion Cheddar, and their staple Raw Milk Cheddar, many of which have been honored with awards from the prestigious American Cheese Society. 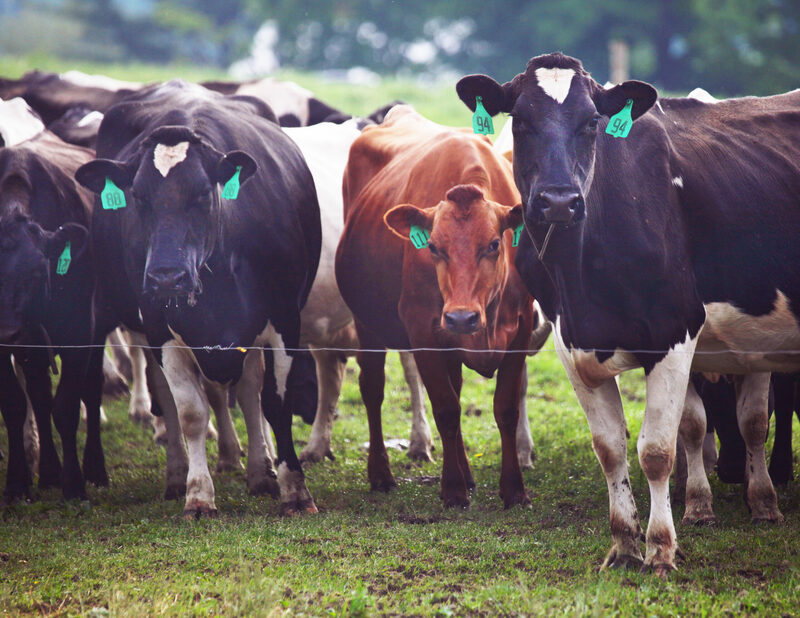 They hope you enjoy them and they thank you for supporting your local, organic dairy farms! Paul Newman’s craft was acting, his passion was auto racing, his love was his family and friends. But his heart and soul were dedicated to helping make the world a better place. His commitment to philanthropy was clear — he used his influence, gave of his financial resources, and personally volunteered to advance humanitarian and social causes around the world. While Paul Newman was a Hollywood star of extraordinary celebrity and a person recognized for exceptional commitment and leadership for philanthropy, he lived his life as an ordinary person, which he always considered himself. He was a man of abundant good humor, generosity, and humility. Newman’s Own began as a bit of a lark. In 1980, Paul Newman and his pal A.E. Hotchner filled empty wine bottles with his homemade salad dressing to give as gifts for the holidays. After friends and neighbors came clamoring for refills, Paul and “Hotch” were convinced that the special recipe was good enough to be bottled and sold. Newman’s Own Salad Dressing was officially launched in 1982 and, surprisingly, became an instant success. The first year of profits exceeded $300,000 and Paul declared, “Let’s give it all away to those who need it.” Without ever taking personal compensation, Paul shared his good fortune. It was a unique concept at the time – giving away all after-tax profits, but he believed that helping others was just the right thing to do. Paul Newman and the Newman’s Own Foundation have now been “giving it all away” for 35 years and recently reached a milestone of $500 million in donations, helping thousands of charities and millions of people around the world. 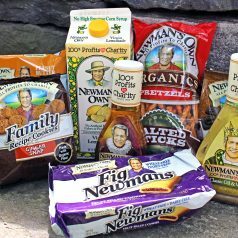 Newman’s Own Foundation is an IRS-recognized charitable corporation, which carries on Paul Newman’s commitment to using all the money it receives (royalties and profits) from the sale of Newman’s Own products for charitable purposes. The Foundation is governed by an independent Board of Directors which is obligated by law to use the Foundation’s resources only to advance its charitable purpose. The Foundation makes grants to charitable organizations, pays for other qualifying charitable expenses, and sets aside reserves to cover future payments on pledges, establish a rapid response fund in case of disasters, make program-related investments, and cover unanticipated contingencies. The Foundation believes that each of us, through the power of philanthropy, has the potential to make a difference. 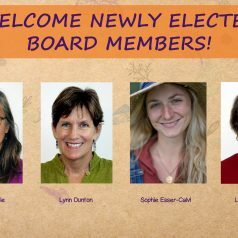 Welcome Newly Elected Board Members! The votes are in! We have re-elected three long-serving and dedicated Board Members – Nadine Barnicle, Lynn Dunton, and Louise Vojtisek. 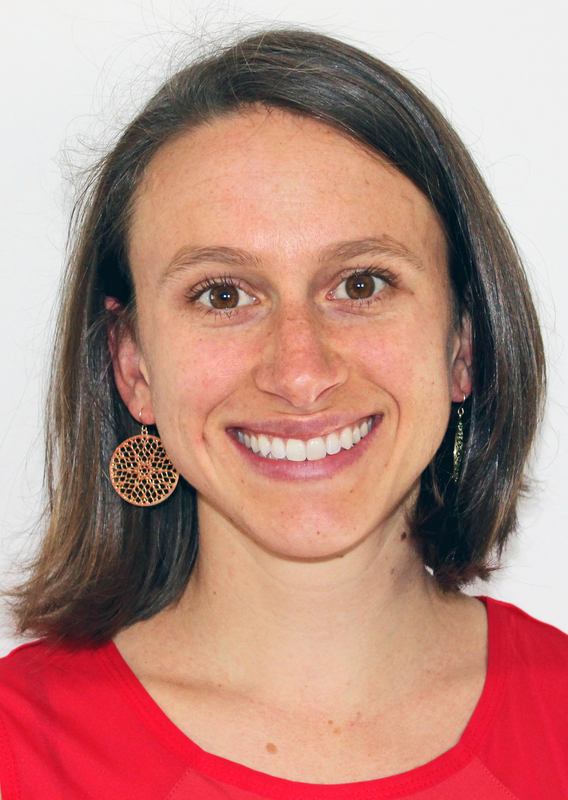 Also, please welcome brand new Board Member, Sophie Esser Calvi! Thank you so much to everyone who took the time to vote in this election. We had a record turn-out, and are so happy that so many of you turned out to share your voice and your vote with your Co-op. 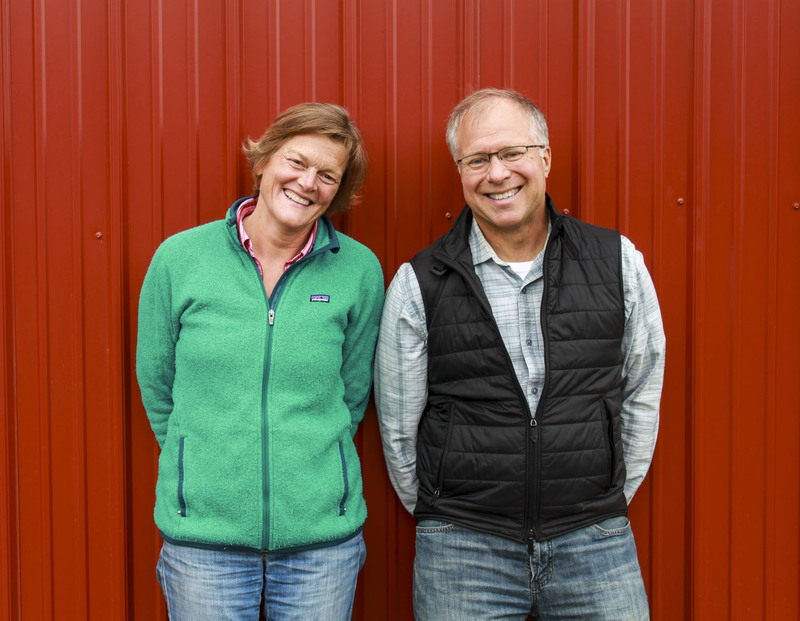 Vermont Creamery was started by two young visionaries devoted to new and non-traditional agriculture, Allison Hooper and Bob Reese. As a college student, Allison spent a summer traveling in France. She worked on a small family farm in Brittany, earning room and board while learning how to make all of the essentials of what was to become her life passion: cheesemaking. Bob always thought he would one day take over his grandparents’ dairy farm. Unfortunately, by the time he finished his degree in Agriculture, they’d sold the farm. 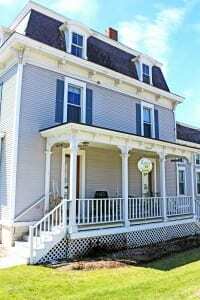 Appropriately enough, the improbable run as long-term business partners began in 1984 during a dinner celebrating Vermont agricultural products. Bob was in charge of the dinner and desperately needed a locally made goat cheese for the French chef’s signature lamb dish. He reached out to Allison, who was then working at a dairy lab and milking goats in Brookfield. 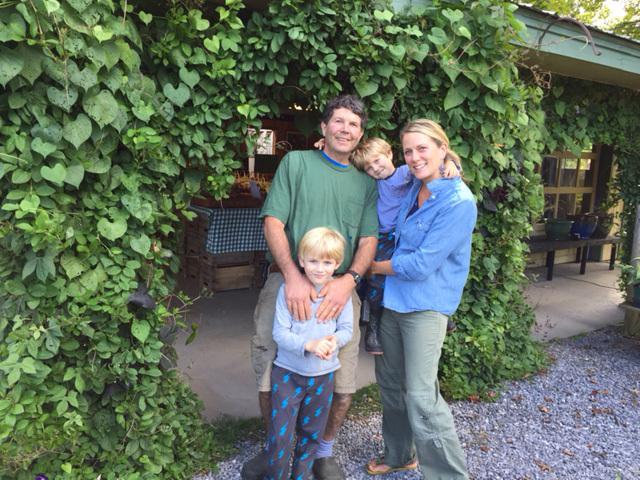 Allison made the chèvre on the farm, Bob delivered it to the chef– the dinner was a success and Vermont Creamery was born. As they say, “time flies when you’re having fun”. And what a fun wild ride we’ve had. A quarter-century ago, $2,000 of savings and a $4,000 loan from an ag-minded Vermont church made possible our first nervous debut of fresh chèvre in the milk house on the farm in Brookfield. 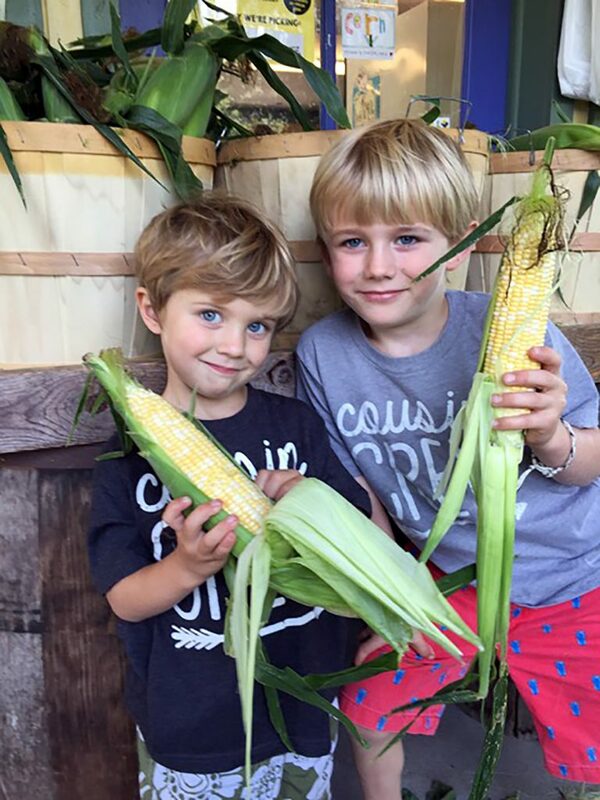 We sold first at farmers’ markets, then to food co-ops and French chefs. 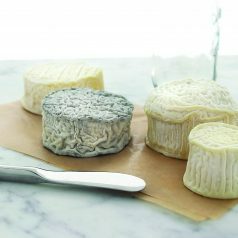 Back then, fresh chèvre, so popular today, was a dazzling exotic foreign delicacy for American palates. 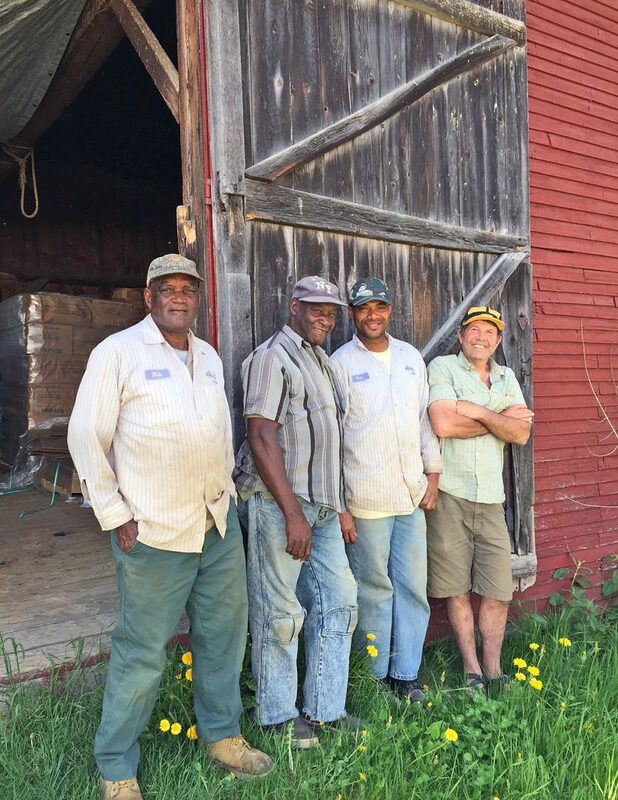 Today, almost 30 years later, 20 Vermont goat farms ship their milk to Vermont Creamery. We are humbled and proud to have won more than 100 national and international awards. Our butter and cheeses populate some of the most prestigious cheese boards in America. But what makes us proudest perhaps is that we have sustained a team of family farms and creamery artisans. Together we thrive making simply great cheese for discerning, appreciative eaters, home cooks and discriminating chefs alike. 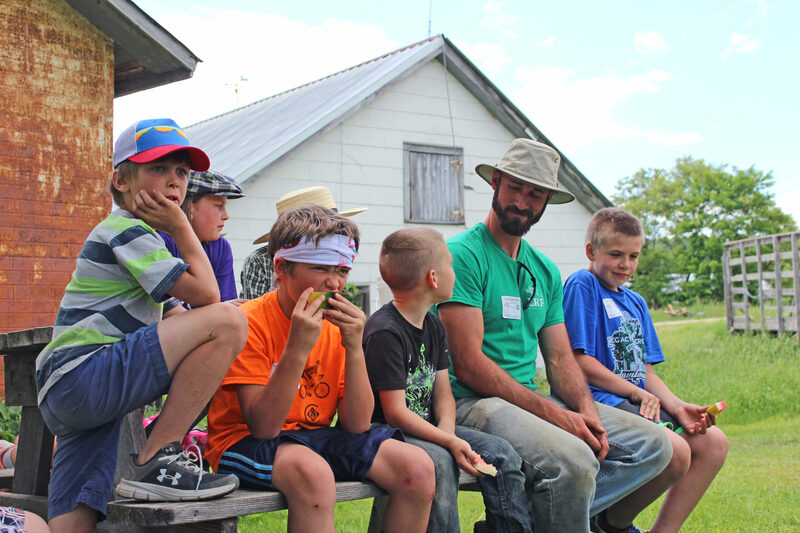 At Vermont Creamery, we strive to produce the highest quality cheeses and dairy products using local ingredients while supporting and developing family farms. We aim to exemplify sustainability by being profitable, engaging our staff in the business, and living our mission every day in the creamery. 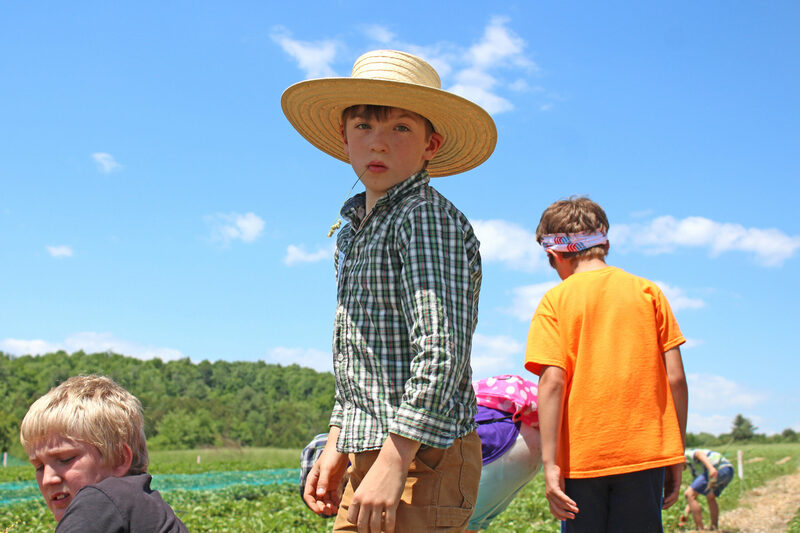 The farms: Improve our rural communities by supporting family farms which have best management practices that are sustainable and environmentally sound. A culture of continuous improvement: Invigorate and challenge our creamery community to maintain the highest product quality, excel at customer service and care for our consumers by inviting them to be part of our family. The value of cheese: Promotes a life of good health and meaningful connection through the preparation and sharing of good food with others. A responsible manufacturer: Add value to milk while minimizing our impact on clean and plentiful water, clean air, and land. The Team: Accountability and responsibility allows every team member to create a profitable, meaningful and fun workplace where he/she is challenged empowered and motivated by his/her contribution. In 2014, Vermont Creamery became B Corp certified. B Corps are a new type of company that use the power of business to solve social and environmental problems. B Corp certification is to sustainable business what Fair Trade certification is to coffee or USDA Organic certification is to milk. This designation reflects the values upon which our company was founded and our operating philosophies today. We became B Corp because capitalism affects change when it is mindful of doing what is right at the expense of profits. The B Corp Impact Assessment reflects not only what we currently do, but applies rigor to and accountability for our mission. As a Co-op shopper, you likely pay close attention to the ingredients in the foods you choose to feed yourself and your family. Reading food product labels has likely become a common part of your shopping experience. But how many of us pay this much attention to the ingredients in the products we put on our bodies? The fact is, much of what we place on our skin is absorbed into our bloodstream, thus it is equally important to become ingredient detectives when choosing personal care products. 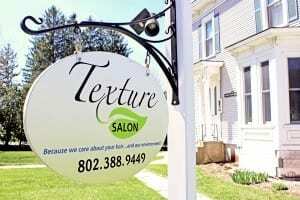 That’s why we love shedding some light on Middlebury’s own Texture Salon. 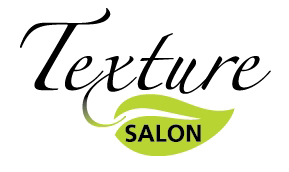 They’re our Co-op Connection Business of the Month and we’re reminding member-owners that Texture Salon offers 10% off your first visit, whether you’re looking for products or services! 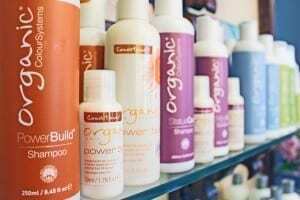 For over a decade we have been committed to offering a new kind of salon experience where many hair and skin care services and products are free of toxic ingredients (parabens, sodium laurel sulfates, talc, ammonia and other toxic agents), ethically-produced/tested, sustainable and environmentally friendly. 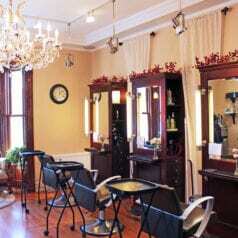 Offering three ammonia-free color lines, Vermont’s own Lunaroma organic skin care, Ecogenics active green skin care (including in-house organic facials), and a full line of Jane Iredale’s Natural Mineral Cosmetics—at Texture Salon, we aim to provide a truly healthier, superior salon experience. Delicately synthesizing old and new technologies, we use localized air-purification systems, rock salt lamps, and natural plant power to enhance the breathing environment for our clients and staff, and restrict cell phone use to maintain a serene and comfortable space for all. We support recycling, alternative energy (through Cow Power), and strongly opposes the use of animal-based products and testing. 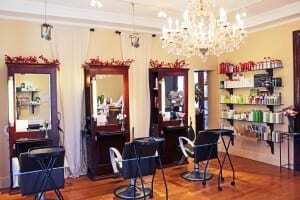 Whether it’s hair-coloring, highlights or skin care, Texture Salon shows how caring for its clients can go hand-in-hand with caring for our environment. 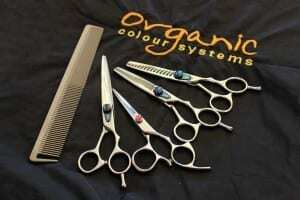 What inspired David to provide a non-toxic and environmentally-friendly salon experience? Excited to begin his career, David graduated from Obriens School of Cosmetology at the age of 20. 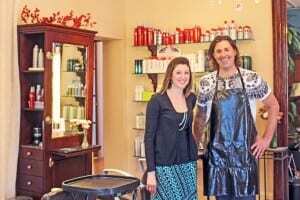 His passion for hair color and cutting was quickly challenged when he discovered that he was allergic to many of the products used in mainstream beauty salons. 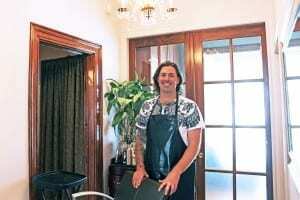 Determined to stay in the field he loved, David opened Texture Salon in 2001. Using ammonia free, organic, natural products and embracing local, small businesses, he has a special interest in investigating new, alternative hair products. 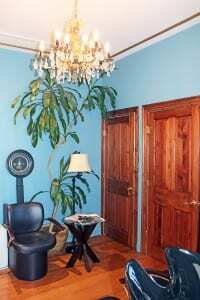 We’re thrilled to have a salon in town that offers such a unique experience, and encourage you to check it out! 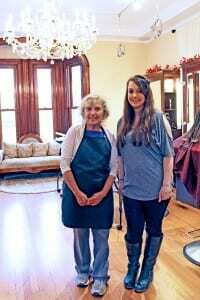 Their gorgeous salon is located at 58 North Pleasant Street in Middlebury and you can visit them online to see a full list of available services and product lines! On May 24th from 5-7 PM, they’re hosting a special event featuring Jane Iredale’s new Spring beauty collection “Skin Is In”!